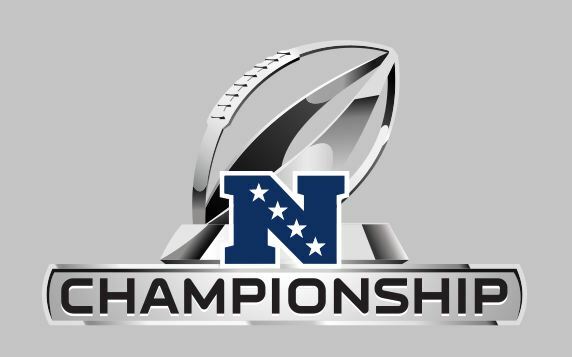 In the first of the two championship games on Sunday in the National Football League; the NFC will take their turn. The Seattle Seahawks, will go to a place they have loved to play for several years; their home field, Century Link Field to host the Green Bay Packers. This is a rematch of Week 1 when the defending Super Bowl champion Seahawks blasted the Packers 36-16. The Seahawks come into the game as the winners of the NFC West. Seattle went 12-4 in the regular season, and are coming off a home win in the postseason against the Carolina Panthers. For Green Bay, they also finished 12-4, and were champions of the NFC North. The Packers edged Dallas last week at Lambeau Field. Coming into this game the Seattle Seahawks are a touchdown favorite over the Packers. Seattle won 7 of 8 at home, with their lone home loss coming to Dallas. The Packers split their 8 regular season road games, and ran the table at home. The winner of this game will take a week off, before taking on the winner of the Indianapolis Colts and New England Patriots in the Super Bowl; in Phoenix. The Seattle Seahawks ran the table a season ago; downing San Francisco in the NFC title game, and then going into the Super Bowl as an underdog, but just blowing out the Denver Broncos. Seattle ran into a rough patch this season where they lost back-to-back games to the Dallas Cowboys and St. Louis Rams. The Seahawks were then 3-3 on the season. From that point on, the Seahawks won 9 of their final 10 games with the lone loss during that time coming at the Kansas City Chiefs. Seattle finished as the top rushing team in the NFL. Marshawn Lynch and quarterback Russell Wilson combined to pick up 2150+ yards and 19 touchdowns. The Seattle receivers did not score a bunch, but were extremely effective, as both Jermaine Kearse and Doug Baldwin had nice seasons, which saw them combine for over 1,300 receiving yards. The Seattle defense is the story of the season, where they finished 1st in passing yards allowed and 3rd in rushing yards. In the last 6 games of the regular season, the Seahawks defense allowed opponents to score just a total of 39 points. Last week, Carolina scored 17, which was the most the Seahawks allowed since the loss to Kansas City. The Green Bay Packers are known most for their offense, and their star quarterback. While Russell Wilson leads the way for Seattle behind center with his legs and then his arm, the Packers have a complete opposite. Aaron Rodgers, the Packers playcaller is a great passer of the football. Rodgers threw for more than 4,300 yards and 38 touchdowns this season. Both Jordy Nelson and Randall Cobb had sensational seasons for a target for Rodgers to throw to. The two combined for over 1,300 yards and 25 touchdowns. The Packers run game used former Alabama star Eddie Lacy lead the attack. Lacy finished with 1,139 yards and 9 touchdowns. The Packers scored 40+ points in four of their wins this season, and twice, the Packers scored 50 or more. Green Bay 20 points or more in 13 of their 16 games this season. Green Bay defense ranked 10th against the pass, as they allowed opponents to throw for 226.4 yards per game. The four Green Bay losses during the regular season came to Seattle, Detroit, New Orleans and Buffalo. First of all, the Green Bay Packers are going to keep this game close. This will not be a blow-out. The Packers will be prepared better than they were the first time these two teams played. Second of all, this game will not be easy for either team. The Packers are going to want this to be a high scoring, shoot-out type of game. For Seattle, they would love to stay in a grind it out, slug fest with Green Bay. This game will be somewhere in between. The total listed for this game is at 46.5, and we feel this will barely sail over that. The Packers are going to cover the +7 spread that they have for the NFC Championship. We have a final score of 28-24 Seattle, with some Marshawn Lynch late heroics, and the defense stopping Aaron Rodgers on the final drive of the game. We are betting the Green Bay Packers +7 in the NFC Championship on Sunday. A few other individual bets that we like for the NFC Championship include: Clay Matthews to record a sack, YES for -200; Marshawn Lynch to score a touchdown and Seattle win game -300; YES. Russell Wilson OVER 55 yards; YES -105. Good luck and enjoy the two championship games this weekend!